Buying a festival pass is the best way to experience the festival! The Fancy Pass includes all films, events, live music, Bloody Mary Brunch, and the Benefit Party at Gramercy Bistro. The Fest Pass includes all films and events. Tickets to the Bloody Mary Brunch and Benefit Event may be purchased separately. PASSES AND TICKETS MAY BE PICKED UP AT THE FIRST EVENT YOU ARE ATTENDING. Passholders must be at screenings 10 minutes before showtime or seats will be relinquished. Individual tickets are also available for every film screening, event, music showcase, and benefit dinner per the chart below. A limited number of Festival Passes are available and may be purchased online until Tuesday, October 13, or until they sell out. ** Pass holders must be at events at least 10 minutes before show time or their seat will be released to someone in the wait line. Individual Tickets may be purchased online up to 24-hours before each screening. A small transaction fee is added to credit card and online purchases. There are no refunds or exchanges. Call 413-458-9700 to purchase tickets by phone. A limited number of Festival Passes may be purchased until Tuesday, October 13, or until they sell out. Individual Tickets may be purchased up to 24-hours before each screening. A small transaction fee is added for credit card purchases. There are no refunds or exchanges. Before the festival begins, the box office is located at 49 Main Street, North Adam (exPress Gallery). During the festival, the box office at each venue opens 1/2 hour before showtime. If a screening is sold-out, there's still hope! Come to the venue 30 minutes prior to the screening to get a number. Walk around, have some ice cream, then return to the venue 15 minutes before the screening time and line-up according to your number. Available seats will be released according to your position in line, but you MUST be in line. If you miss your number being called, you'll have to go to the back of the line! Online ticket sales close 24-hours prior to each event. During the festival, the box office at each venue opens 1/2 hour before showtime. We accept cash, check, or credit card. If a screening is sold-out, there’s still hope! Come to the venue 30 minutes prior to the screening to get a number. Walk around, have some ice cream, then return to the venue 15 minutes before the screening time and line-up according to your number. Available seats will be released according to your position in line, but you MUST be in line. If you miss your number being called, you’ll have to go to the back of the line! Located on the Williams College campus, ’62 Center for Theatre and Dance is a state-of-the-art performance venue that provides student actors, dancers, designers, and ensembles a place to creatively collaborate with each other, renowned dance and theatre companies, and the faculty at Williams College. 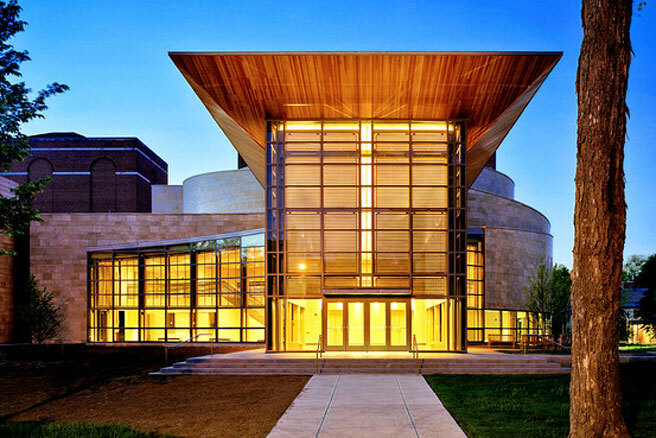 It is also the summer home to the Williamstown Theatre Festival. The complex was built by the Arnold Print Works, which operated on the site from 1860 to 1942, becoming one of the world’s leading producers of printed textiles. 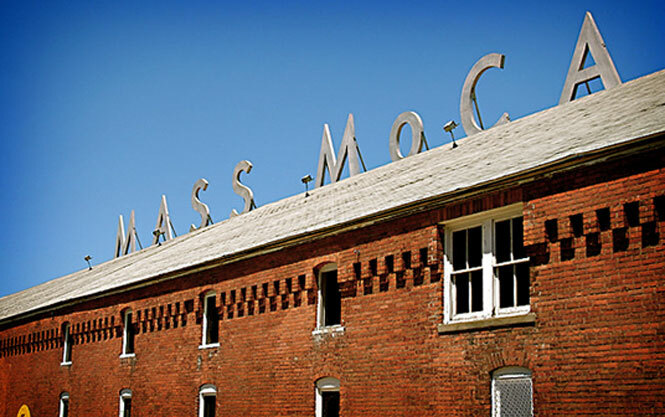 MASS MoCA, the largest center for contemporary visual and performing arts in the country, opened in 1999 and has quickly acquired a far-flung reputation for its artistic daring and breadth of vision. Images Cinema has been a continuously operated cinema from the dawn of talkies in 1916 when it was called the Walden Theatre. After many name changes, including the College and the Nickelodeon, it became Images in the ‘80s. Then it became a non-profit community cinema in 1998 and made its way into the digital era three years ago. 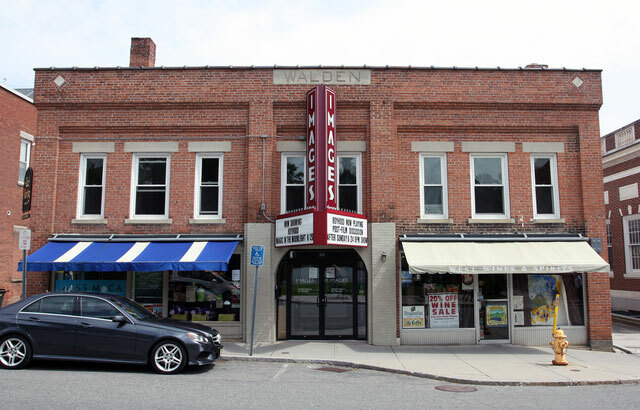 One of the few remaining single-screen, independent theaters still in operation, Images Cinema is an important part of the Northern Berkshires, offering an exceptional variety of independent, foreign and classic films year-round. 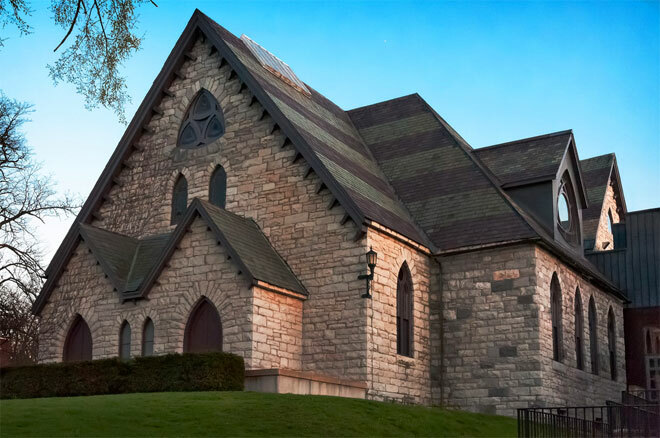 Goodrich Hall is a Gothic revival, rustic limestone structure built in 1859 to serve as the College Chapel, Alumni Hall and classroom building. The performance space is cabaret-style. 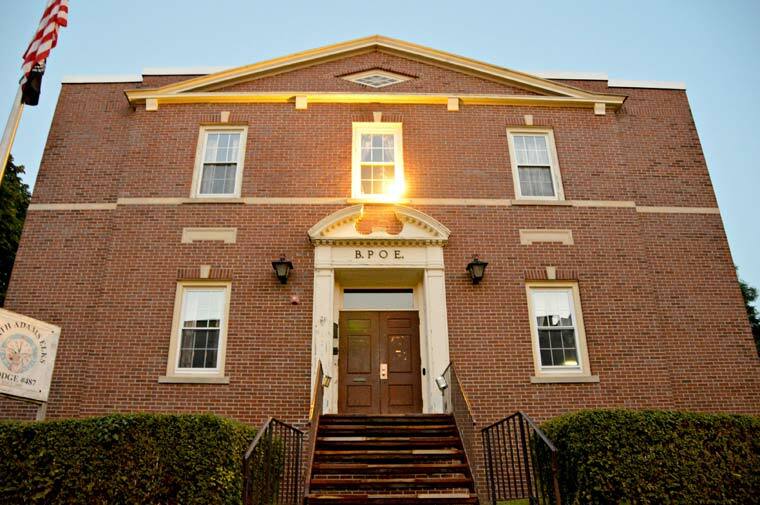 North Adams Elks #487 of the Benevolent and Protective Order of Elks was founded in 1896 to promote charity, justice, brotherly love, and fidelity. For its 87th anniversary, the Elks is celebrating early with Wind-Up. 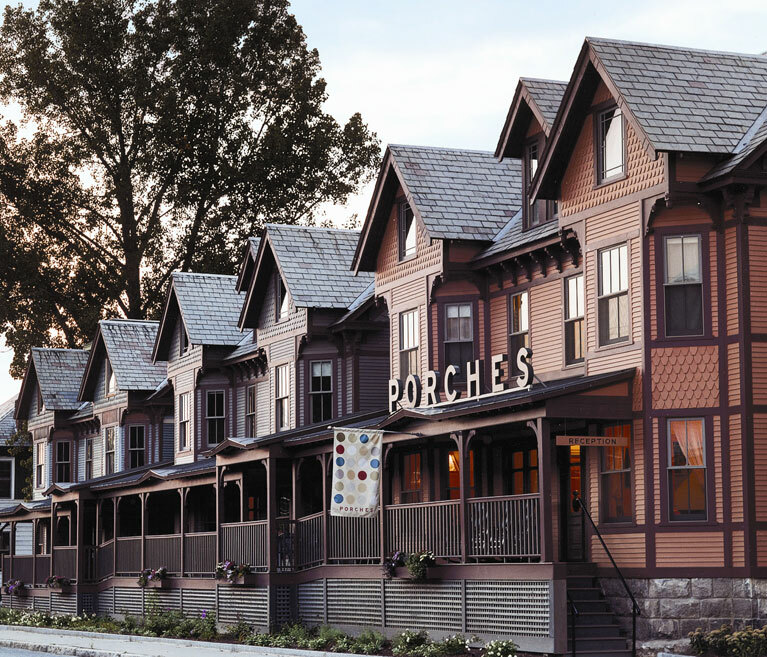 Porches is the most visible manifestation, to-date, of the changes in North Adams, MA, sparked by MASS MoCA. Its 47 rooms of retro-edgy, industrial granny chic ambiance make a spirited lodging statement in New England and beyond. Leisure travelers surrender to total comfort and attitude-free service while itinerant techies avail themselves of WiFi connections and bandwidth galore. 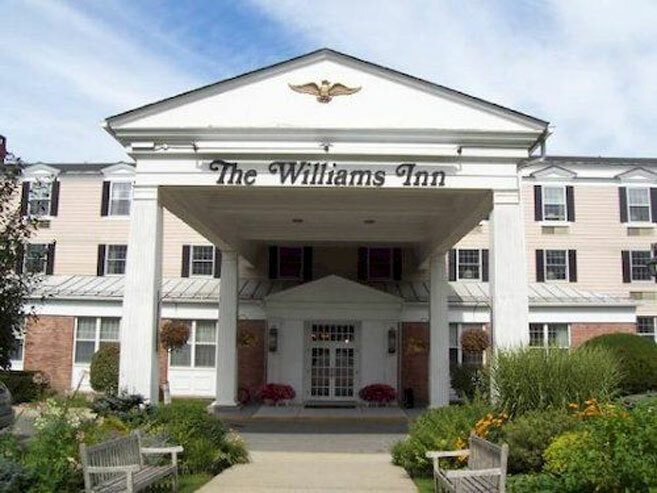 The Williams Inn is just steps away from The Clark Art Institute, Williams College Museum of Art, and the ’62 Center for Theatre and Dance. It’s a quick walk to Spring Street shops and surrounded by incredible natural attractions and historic buildings. 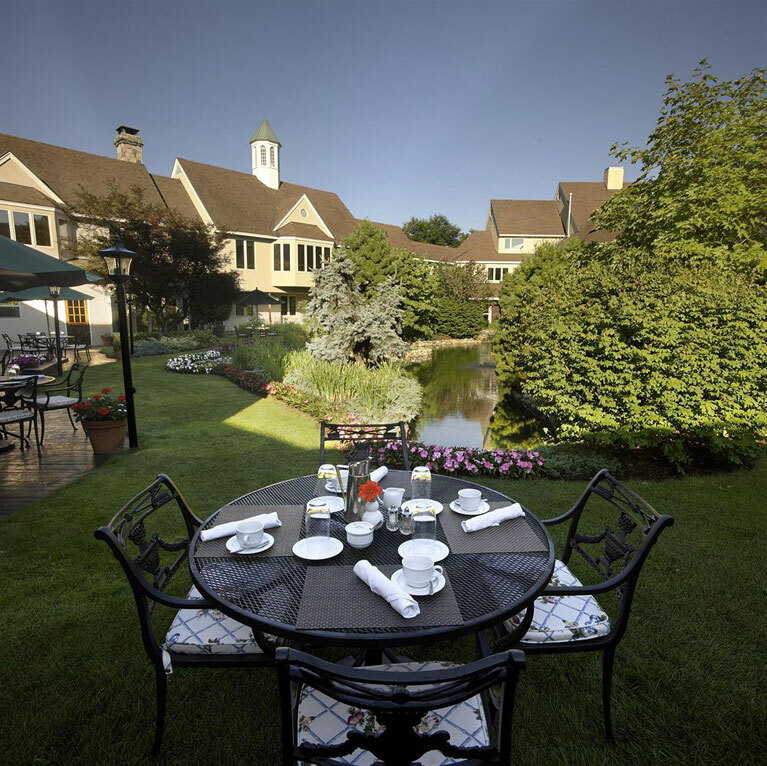 Expertly blends old-fashioned New England elegance with modern convenience, creating an atmosphere that is as delightfully esthetic as the area itself. Gala Steakhouse & Bistro is onsite. 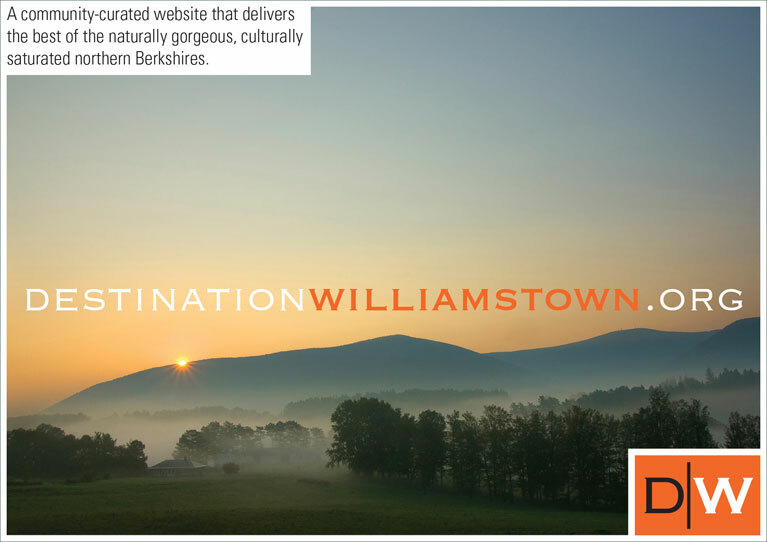 Visit DestinationWilliamstown.org for a full list of accommodations including hotels, motels, inns, campgrounds, bed & breakfasts, AirBNB, and more. Plus, find out where to eat and shop. Follow Route 7 south to Williamstown and then Route 2 west to North Adams. Take Amtrak (or fly) from New York City to Albany, where you can rent a car (Albany is a one-hour drive from North Adams). There is one Amtrak train a day from Boston to Pittsfield. While there is no car rental agency at the Pittsfield train station, you can call a cab for the 30 minute ride to Williamstown or North Adams. Bonanza Bus Lines (800.556.3815) services Williamstown (from both Boston and NYC).